Easter is just a few days away and if you’re like most families, you like to take full advantage of the weekend and relax, redecorate your home, craft the day away, and spend time with your loved ones. Now is the time you can expect to see blooming flowers, warm weather, and happy times. If you haven’t had the time to really sit back and enjoy the nice weather Easter weekend is the perfect time to do so. It’s about time you made some time for you and participate in the following activities. Soon you will glow with spring time happiness and your home will glow from a fab weekend makeover! Eco-Friendly Projects – Even though Easter is this weekend doesn’t mean you can’t continue to do eco-friendly projects way past Easter. In fact, make it a weekend goal to think of one eco-friendly project to work on each weekend. One project to keep in mind right now or for the future are eco-friendly Easter baskets, which can be made from shoeboxes. Poke a hole in each side of the shoebox and use wire to create a handle for the shoebox basket. 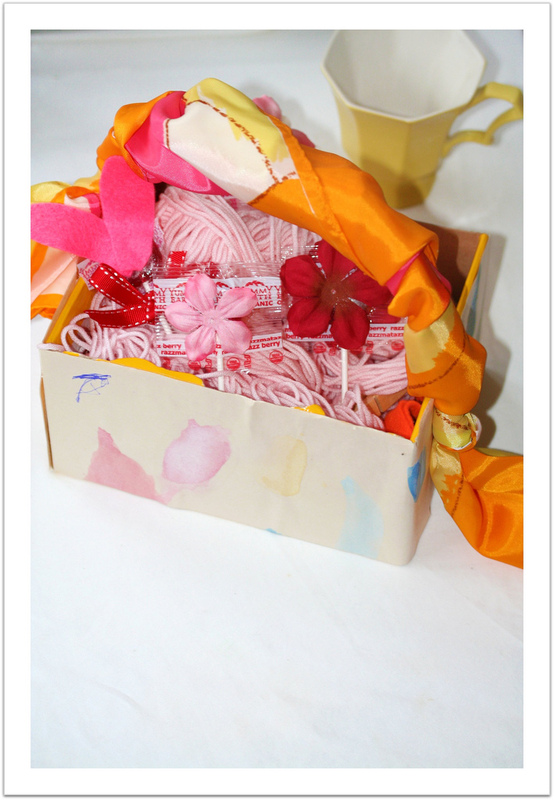 You can decorate the shoebox with your kids with stickers, magazine clippings, and other embellishments that you love. This is an excellent eco-friendly solution for Easter activities and what’s more it will give you extra time to spend with your kids. Switch up Your Furnishings – This warmer season also involves getting the spring time cleaning itch, meaning besides straightening up your home, this can also include switching up or replacing your furnishings. Are you tired of seeing the same worn down footstool day after day in your living room? Purchase a new one from http://www.sofasofa.co.uk/footstools and enjoy revamping your space. Don’t stop with just a footstool – replace other elements that are driving you crazy such as pillows, pictures on the wall, and other pieces. Planting Your Seeds in the Garden – Spring also means getting out in your garden and planting seeds and flowers. First you’ll need to till the soil and revive it with nutrients and new soil. After your soil is ready to go make a weekend fieldtrip out of your gardening activities and involve your kids by asking them to help pick out new flowers and plants. This will be a perfect spring activity that the entire family will enjoy. Sierra is a writer who loves the spring – she can’t wait to participate in spring time activities and more! 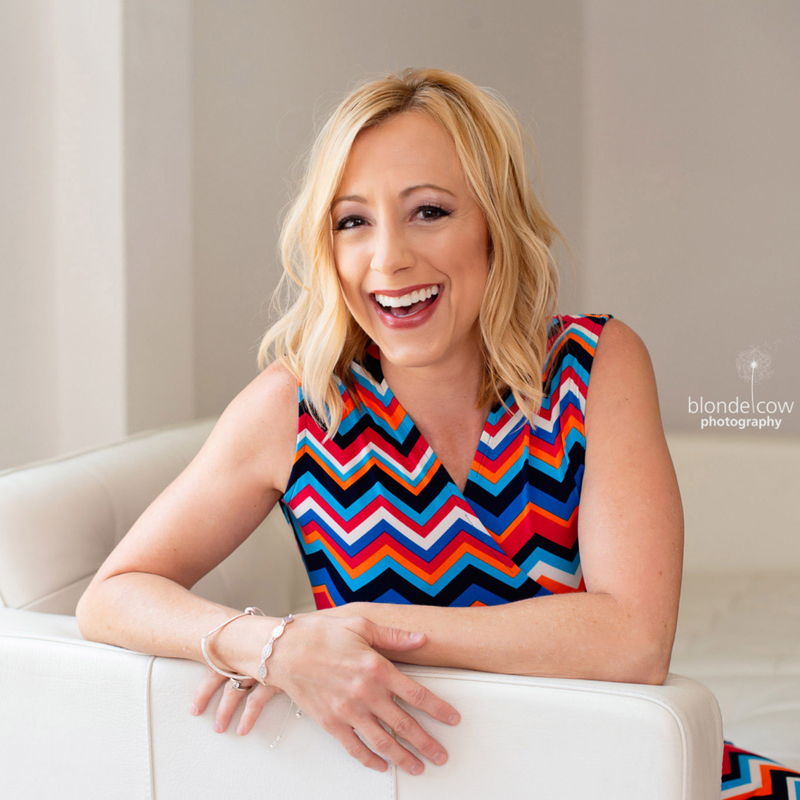 The company’s motto is “You Are What You Absorb” and it is so, so true – when nutrients, vitamins and minerals can be properly absorbed from your food, and waste products broken down properly, it means a healthier (and happier!) you! “Mom” recently had the opportunity to try a new chewable probiotic supplement called Vidazorb®, which offers several chewable varieties of probiotics to aid in gastrointestinal health. 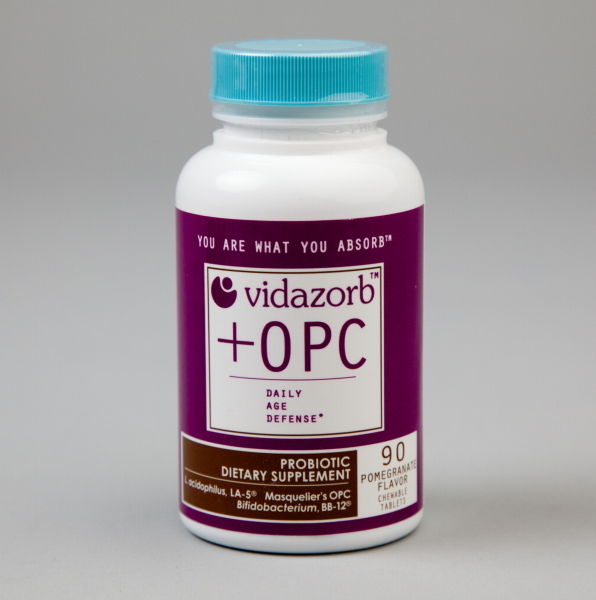 For those unfamiliar with the overall health benefits of probiotics, you may wish to visit the Vidazorb website to learn more! 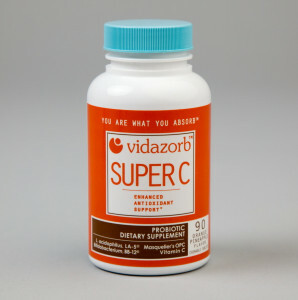 The Super C, +OPC and Plus varieties all tasted great – easy to chew and swallow, and “Mom” loves that this particular brand of probiotics does not require refrigeration, which is wonderful for traveling. For those who travel to other countries frequently, taking a probiotic supplement daily is a must to help with traveler’s diarrhea! If you are interested in learning more about the benefits of probiotics, or to locate a store near you, visit Vidazorb.com. Such simple ingredients yet big on flavor, this Mediterranean-inspired dish from RecipeRehab is an excellent side dish! 2. 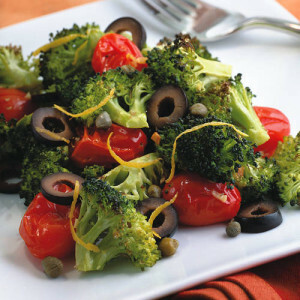 Toss broccoli, tomatoes, oil, garlic and salt in a large bowl until evenly coated. Spread in an even layer on a baking sheet. Bake until the broccoli begins to brown, 10 to 13 minutes. 3. Meanwhile, combine lemon zest and juice, olives, oregano and capers (if using) in a large bowl. Add the roasted vegetables; stir to combine. Serve warm. When you want a delicious, healthy meal, and timing is tight—go fish! 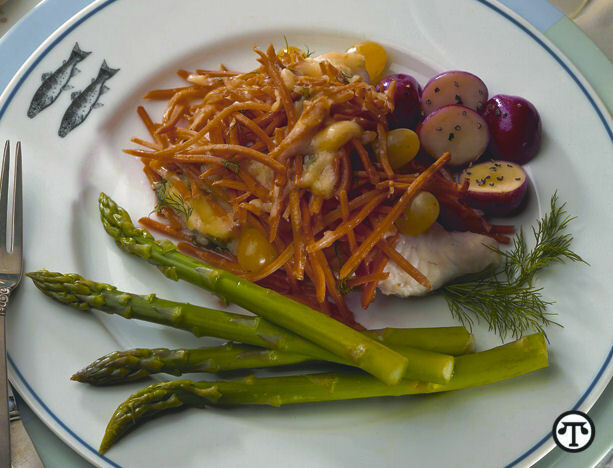 Garden Fish Fillet balances the delicate flavors of fish, fresh herbs, carrots and grapes. A generous grating of nutty Jarlsberg cheese adds a tasty touch to this simple supper. Cleanup is quick and easy, too. Coat fillet pieces with olive oil; arrange in a foil-lined, oven-proof baking dish. Mix together herbs, carrots, grapes and cheese. Divide mixture into equal portions to cover each fillet, then top each with a lemon slice. Cover dish tightly with foil and bake 20 minutes. Let stand 5 minutes, covered, before serving. 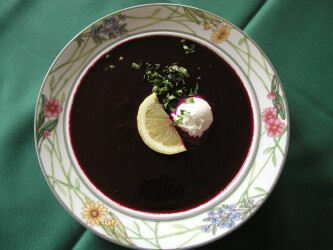 If desired, drizzle with a simple lemon vinaigrette and a few grindings of fresh black pepper. Serve with steamed, lightly buttered asparagus and baby red potatoes. Summertime brings with it a number of opportunities for fun and excitement. It’s the most popular time to grow closer to family. It’s the time of the year to consider fun as a significant priority. But we have to face the truth. Although some electric companies can be pretty fair about their prices, paying bills is the furthest thing from fun anybody can think of. Here are three ways to have fun this summer, either alone or with your family, that will both bolster your sense of joy while lowering your environmental impact and expected electric bill. Most people understand that recycling is becoming a necessity. An increasing percentage of the raw materials we use in day to day life are originating from recycled sources. Normally, being environmentally conscious doesn’t line up with having fun– but here’s where you introduce the game principal. In essence, you can make almost anything fun as long as you make it into an enjoyable game. Make a contest with your family members to see who recycled the most while using something like ice-cream as an incentive. If you live alone, give yourself a dollar for every pound you recycle. Use the money you save o treat yourself to something nice. Most people can appreciate MacGyver, even if most of the younger generation has never even seen an episode of the show. His uncanny ability to take mundane materials and create something incredible out of it has been envied for years. Now there’s no need to envy. Using the internet or a few crafts books, you’d be amazed to discover what you could do with household items. You can make art, interactive displays, games, costumes, projects– the list goes on. There are even some gadgets that will lower your monthly utility bills! We live in a society that’s practically dominated by electricity. Most of our means of entertaining ourselves rely on some sort of electrical power. This causes the bill to hike up, especially in the summer months. But why not take a step back into simplicity? You don’t have to play video games or watch television. You could go for a walk, have family story time, or play a board game. You can lose yourself in the mystery of a good book. There’s no limit to what you can do with some creativity. And your wallet will thank you later. Annabelle is currently a loving and caring mother of two children. She lives outside of Milwaukee, WI and loves cheering for the Bucks and Badgers. She is a blog enthusiast and loves writing, if she is not writing she is cleaning up after her two lovely angels. She is learning a lot about electricity and what she can do to save money from Texas Electric Retailers. 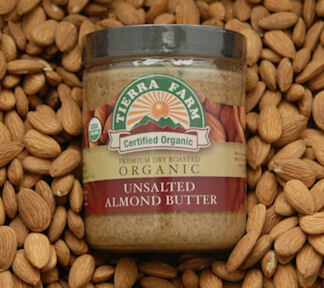 “Mom” typically starts the morning with a “peanut butter and jelly smoothie” using strawberries, a banana, protein powder and peanut butter, but this recipe was created after receiving some delicious Organic Unsalted Almond Butter from Tierra Farm. It’s a refreshing take on an old favorite, and a wonderful alternative for those who suffer from peanut allergies. Place all ingredients in a blender. Blend until creamy and smooth. Pour into a glass and enjoy. To make it icy cold, add a handful of ice cubes to the blender, if desired. Will Green Coffee Beans Really Help You Lose Weight? First, let’s start by saying that green coffee beans aren’t necessarily “green,” which is to say organically grown. You may be able to find beans that conform to your eco-friendly standards, but in general you should assume (unless otherwise noted) that these coffee beans and their extracts are labeled as green due to the fact that they are raw. The idea here is that they retain greater potency, and studies have been conducted to determine whether these extracts can help people to lose weight. As you may or may not know, your average cup of Joe has long been thought to help you to lose weight in two ways. For starters it is a diuretic, so it could help you to shed water weight (a temporary solution at best). But it could also curb appetite for those who have trouble fighting off cravings. 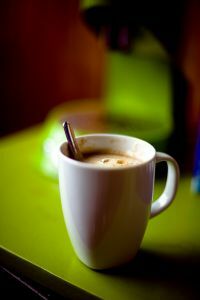 Of course, if you’re the cream and sugar sort, coffee as a drink is probably best avoided while dieting. But can green coffee beans, or more importantly, their extract, help you to lose weight? According to studies, the answer is yes. One published in January of 2012 in a journal called ‘Diabetes, Metabolic Syndrome and Obesity’ (available through DovePress.com) showed incredible results. Sixteen subjects with a BMI of over 25 (considered to be obese) were followed for twelve weeks and given daily doses of green coffee bean extract. Some took 700 milligrams per day while others took a dosage of 1050 mg. By the end, researchers discovered that the subjects had lost an average of 18 pounds, which amounted to an average of 4.4% loss of body fat and 10% loss of overall weight. What you might be more familiar with, though, if you watch ‘The Dr. Oz Show,’ is the similar study his staff conducted (along with consulting experts) for a segment last year. Dr. Oz’s experiment followed 100 female subjects, age 35-49 with BMIs over 25, for only two weeks, with some being given a placebo and others receiving 400 mg green coffee extract capsules to take three times a day (for a total of 1,200 mg). The participants were not made aware of which pills they were receiving. They also had to keep food journals and they were asked not to change their regular diets during the study. The results were that the women on the extract lost an average of two pounds per subject while the women on the placebo lost an average of one pound (likely due to awareness of their food intake). So it seems pretty clear that green coffee beans have the potential to help you lose weight. But before you rush out and buy them, slow your roll for just a minute. There is one small problem. This type of extract falls under the category of herbal supplements. As such it is unregulated by the FDA. You can celebrate vitamins that are FDA approved (so you know that labeling is accurate), but supplements are another story. However, there are a couple of ways to hedge your bets here. First, you want to look for a bottle with ingredients listed (yes, you may find some with no list provided). 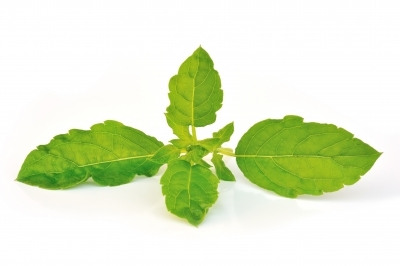 Next you should go for a minimum of 45% chlorogenic acid extract (sometimes listed as GCA – green coffee antioxidant – or Svetol). This has been deemed the minimum amount of the green coffee bean extract needed to boost weight loss potential (as per available studies). And if eco-friendly products are a must, don’t rely on words like “natural” or “pure” that have no legal definition (and could mean almost anything). Instead, look for the word “organic,” which does have a specific legal meaning. http://tinygreenmom.com/wp-content/uploads/2018/07/logo-sm.png 0 0 Tiny Green Mom http://tinygreenmom.com/wp-content/uploads/2018/07/logo-sm.png Tiny Green Mom2013-03-22 18:43:242013-03-22 18:43:50Will Green Coffee Beans Really Help You Lose Weight? Traditionally, pesto is made with pine nuts, but here “Mom” has made pesto using organic roasted salted cashews from Tierra Farm for a rich flavor. Using a food processor, it can be whipped up in minutes! Place all ingredients excpet the extra virgin olive oil in a small food processor or blender, and pulse. Start to slowly add the oil in a steady stream while the food processor or blender is on until blended. You may not need all of the oil. Serve pesto on whole wheat pasta, baked chicked or grilled fish, such as salmon. “Mom’s” daughter likes to eat the pesto right from the bowl! To store, place in a glass dish with a lid, and cover with a thin layer of olive oil. Place plastic wrap right over the top, and then put the lid on to seal. Can be kept refrigerated for 1-2 days. This unique spin on the traditional Benedict from the Birchwood Inn in Lenox, MA does not include any meat or eggs! 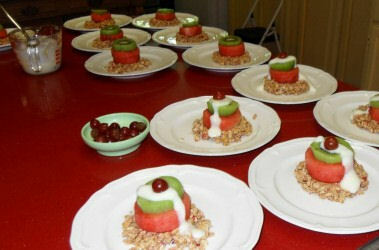 Mix the remaining honey with the yogurt and drizzle over the kiwi. This is your “hollandaise.” And, then top with a grape.